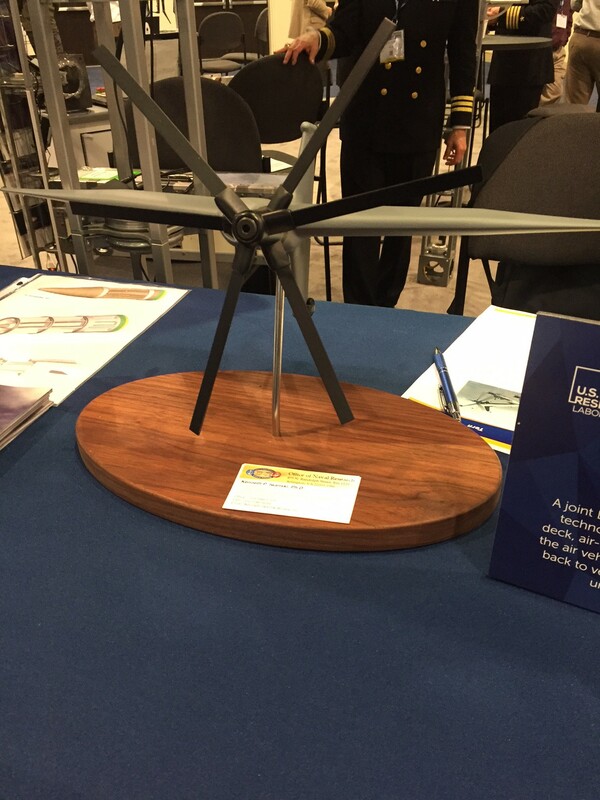 The Flying Swimmer from ONR on display at Sea Air Space, April 5, 2017. Last December, after a Chinese military vessel stole a U.S. sub drone in the South China Sea, military watchers debated whether to call it an act of war. The Pentagon sounded a more reserved note and simply asked for the drone’s return. The incident will likely not be the last. The U.S. Navy and others from around the world are steaming ahead with plans to fill the seas and the skies above them with drones. Because robots can stay on the water (or above or under it) longer than can sailors, enduring harsh conditions that humans cannot while consuming fewer resources, they’ll play an increasingly large role in future operations. The defense industry is rushing to help. 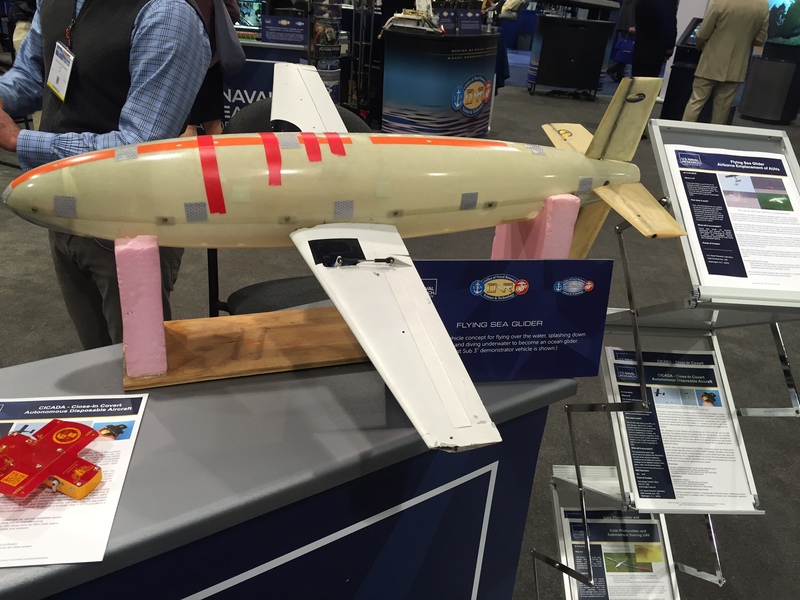 This year’s edition of the annual Sea-Air-Space conference , one of the world’s largest showplaces for naval and maritime weapons and equipment, featured a far larger assortment of naval drones than even last year. Here’s a sampling of the check innovative new robots of varying size, shape and smarts that could be making their way to a contested body of water near you. 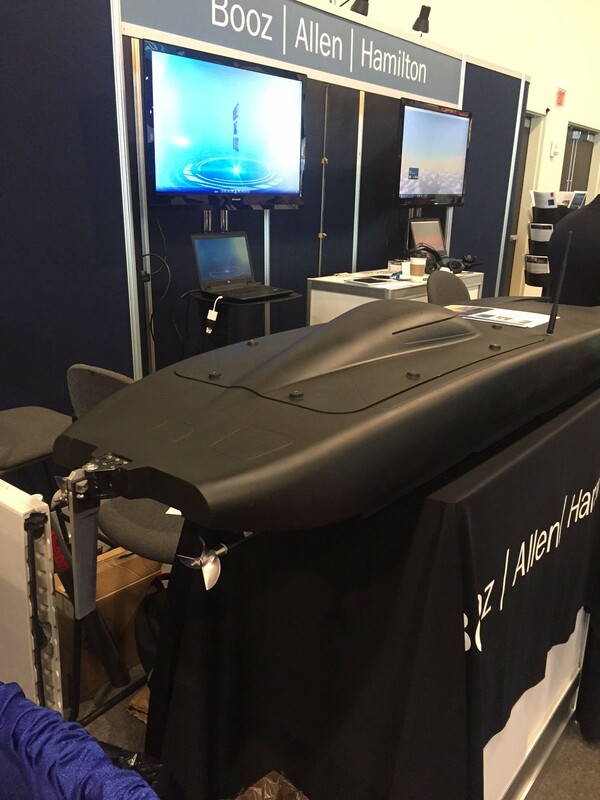 If Batman had an ocean drone, it would probably look like the Man Portable Tactical Autonomous, or MANTAS , robot from Booz Allen Hamilton and Maritime Tactical Systems. Just 98 inches long, the MANTAS can achieve a top speed above 60 knots. An operator with a tablet or smartphone can set waypoints or instruct it interdict oncoming vessels. Depending on the sensor payload, you can use it to hunt for enemy submarines or possibly mines. Or just strap explosives to it and use it like a fancy Bat-torpedo. At Sea-Air-Space, the all-black drone was set up next to the booth of the Marine Corps Warfighting Lab , which will be showing off the MANTAS and nearly 100 other new amphibious technologies at a late-April exercise in San Diego. Liquid Robotics, a Boeing subsidiary, bills its Wave Glider as the first robot driven by a unique combination of wave energy and solar power. 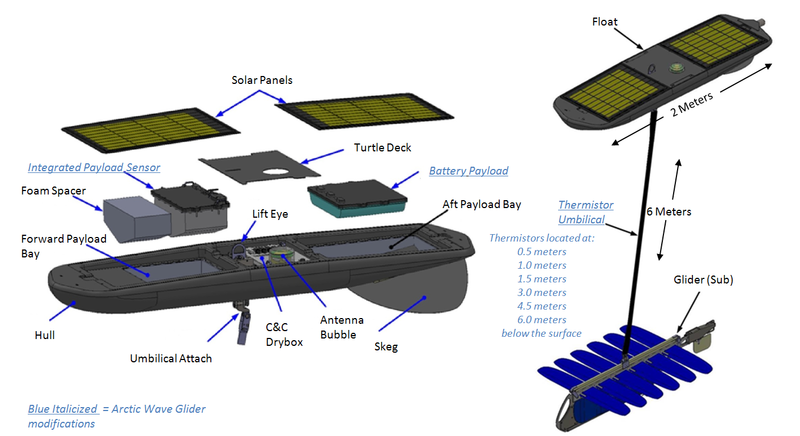 The drone has a floating solar sled connected to a finned tube underneath. The fins push against water, creating forward momentum in somewhat the same way that manta rays use waves to glide. That allows the drone to stay out on the water, collecting data on subs, mines, or the ocean itself for up to a year without fuel. Military funding — from the Office of Naval Research, or ONR, and the CIA’s investment arm In-Q-Tel — helped Liquid Robotics get its start. Yet it took a long time (and help from Boeing) to draw the Navy’s interest. Last April, founder and CEO Gary Gysin told us of his frustrations with the pace of Pentagon acquisitions. “We’re in almost every country in Asia. And they make decisions, rapid decisions. And we’re in selling our platform. 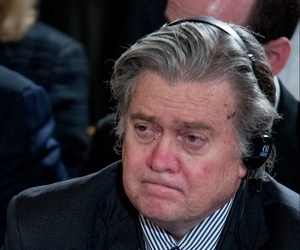 And if we’re in selling our platform and we’re not selling it to our government at the same pace, that worries me,” he said. Just wait until the Chinese navy starts stealing his drones. The program’s newest test sub, on display at Sea-Air-Space, showed a revamped buoyancy engine and cleaner lines. ONR is currently working on a larger version that could of splash down at 100 nautical miles per hour, then cruise 200 meters below the surface. Aircraft carriers make big targets, so the military is looking to put strike aircraft, in drone form, aboard smaller ships. The Defense Advanced Research Projects Agency, or DARPA, is working with ONR and Northrop Grumman on a helicopter drone that can take off and land autonomously from a craft as small as a Littoral Combat Ship. Called the Tern, it’s intended for intelligence-surveillance-and-reconnaissance out to 600 nautical miles, or for strike missions of somewhat (and undisclosed) reduced ranges, carrying a 500-pound payload. The weapon’s makers plan a full-scale flight launch in 2018. Unlike previous iterations, this year’s Sea-Air-Space offered no blockbuster announcements of new and incredible research-and-development programs. Still, DARPA and Aurora Flight Sciences said a one-fifth-scale version of its experimental, multi-rotor helicopter drone had completed flight tests, clearing the way for the construction of a full-size, 1,200-pound, 61-foot-wingspan version for testing by next year. Dubbed the the VX-24A, the bizarre-looking drone uses propellers spinning at incredibly high speeds to lift the drone from its ship or helipad and then push the plane through the air as the propellers tilt forward, similar to a V-22 Osprey. But the multiple propellers add a stability that the Osprey lacks. The XV-24A’s most important innovation is the hybrid electric distributed propulsion system. Three Honeywell generators driven by a big Rolls Royce engine produce three megawatts of power. But the lift fans only require one megawatt to pull the drone off the ground. 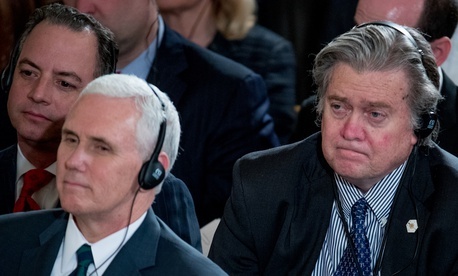 That energy surplus opens up the potential for additional sensors, more powerful computers, or, as technology improves, possibly lasers. “We are laying the path forward” for the future of hybrid electric flight, said DARPA program manager Ashish Bagai. 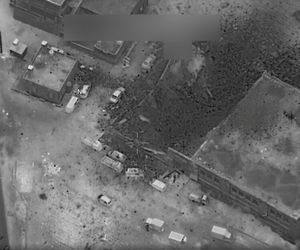 Unmanned and robotic systems are just playing an ever-larger role in those battle plans.